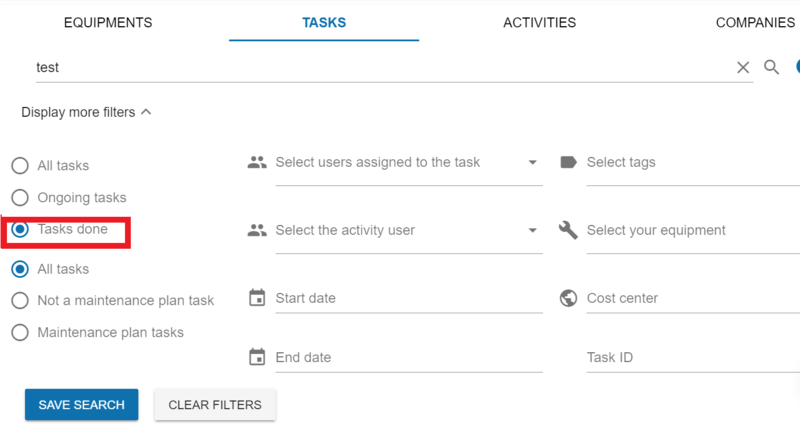 This filter displays all the tasks which are declared as archived in the application. 🇫🇷 À quoi correspond le filtre « tâche archivée » ? 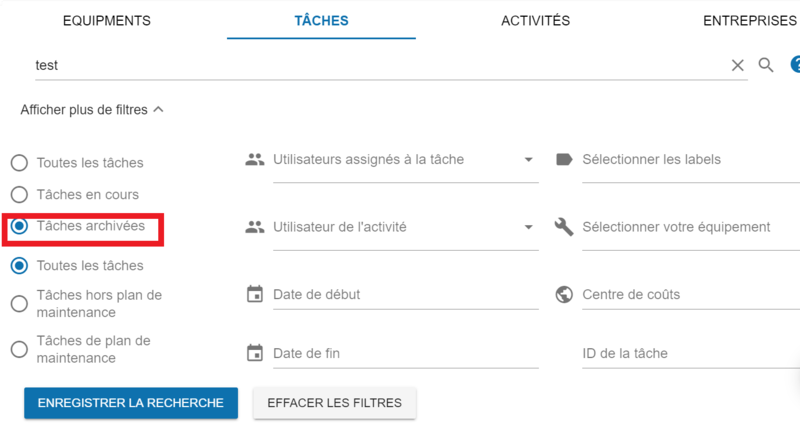 Ce filtre permet d’afficher l’ensemble des tâches archivées dans l’application qui sont considérées comme terminées. 🇪🇸 ¿Qué es el filtro “tarea realizada”? 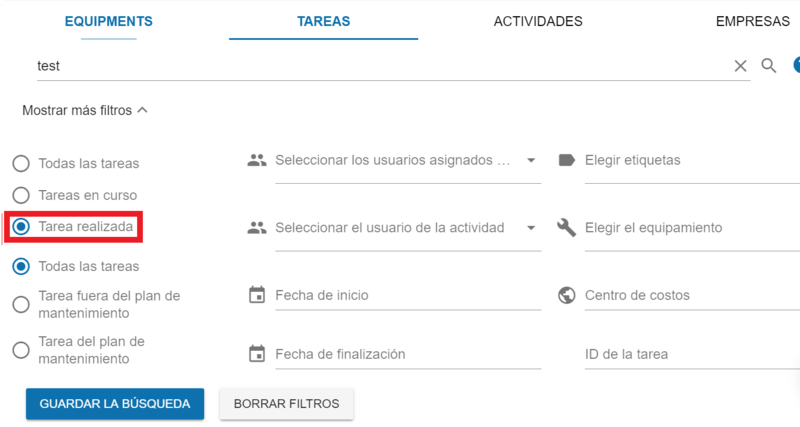 Este filtro permite visualizar todas las tareas archivadas en la aplicación consideradas como terminadas. 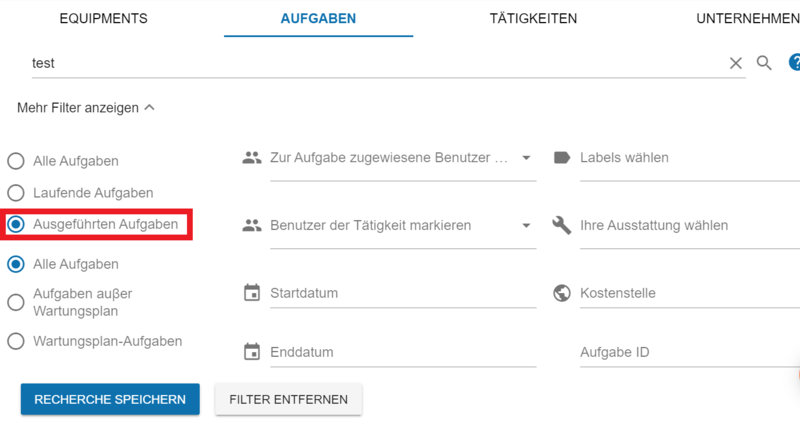 🇩🇪 Was ist der Filter „Ausgeführten Aufgaben”? Dieser Filter zeigt alle archivierten Aufgaben an, die in der App als abgeschlossen markiert worden sind.